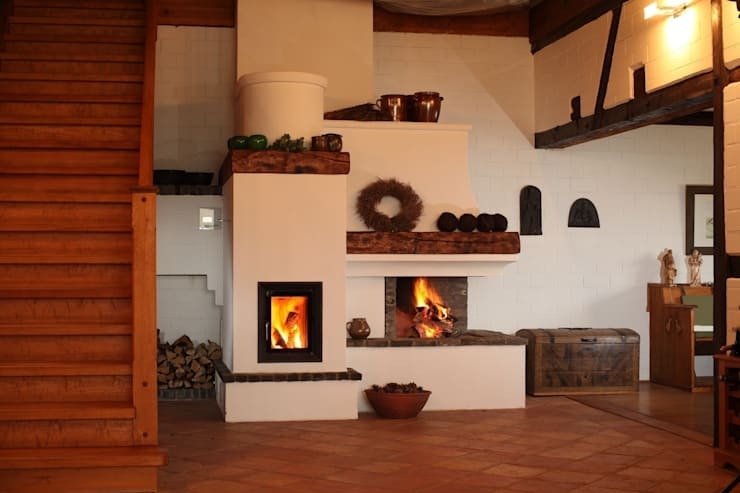 Behold 10 winter-worthy stoves and fireplaces, perfect for spicing up your home, heating up those sumptuous meals and snacks, and warming you up while you sip on a full-bodied wine (red wine and wintertime just go together so perfectly, don’t you agree?). We tend to gravitate towards the kitchen, and even more so in winter when that heat from the oven conjures up a comfy and warm ambience. 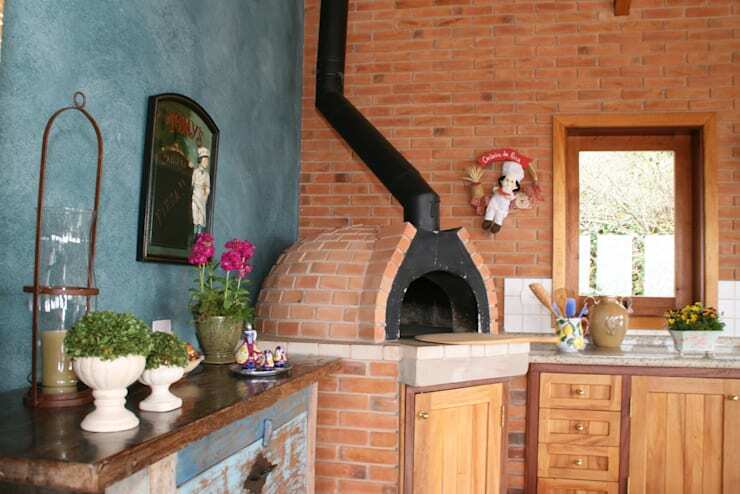 Well, pull up a chair and start the gossiping, as this kitchen’s pizza oven looks to be the supreme must-have for that cold temperature outside. 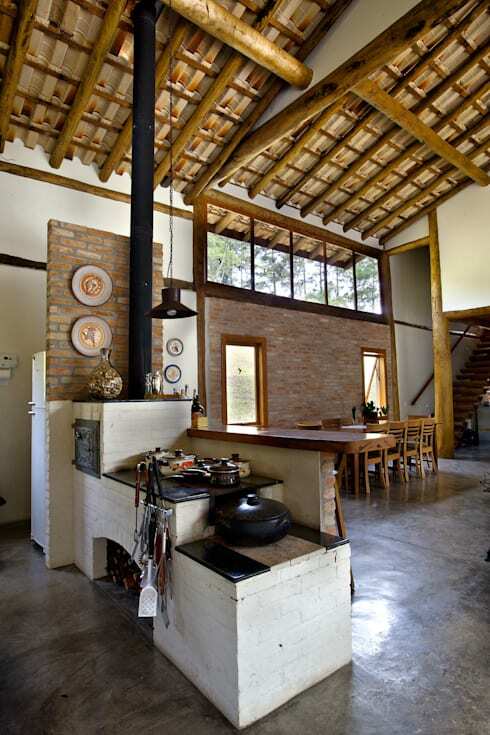 Striking brick surfaces and earthy colours ensure a culinary spot that is homely, charming, and most inviting. Be sure to scope out our range of professional kitchen planners here on homify. We South Africans love any excuse for a braai, yet winter is very unforgiving in terms of outdoor socialisation. But fortunately, this little model is just what we need for a warm and entertaining evening filled with good friends and good food. That stone-clad surface is the epitome of modern design, ensuring an eye-catching beauty when it comes to grilling up a decent piece of steak. 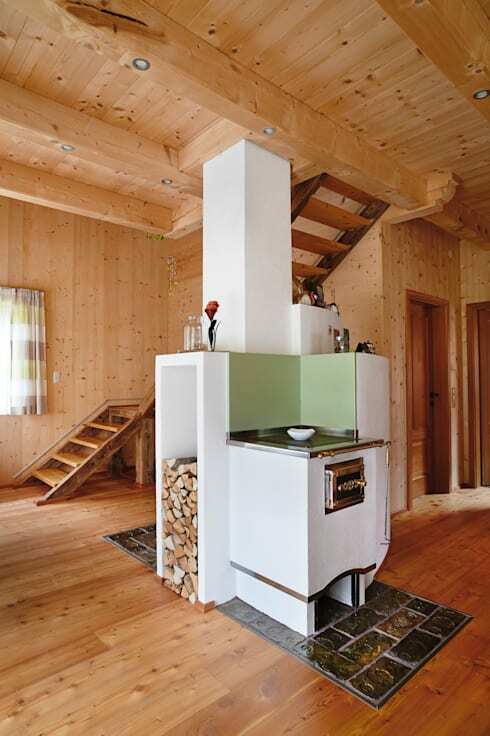 Well, isn’t this little model just a quaint combination between old-school stoves and contemporary design? 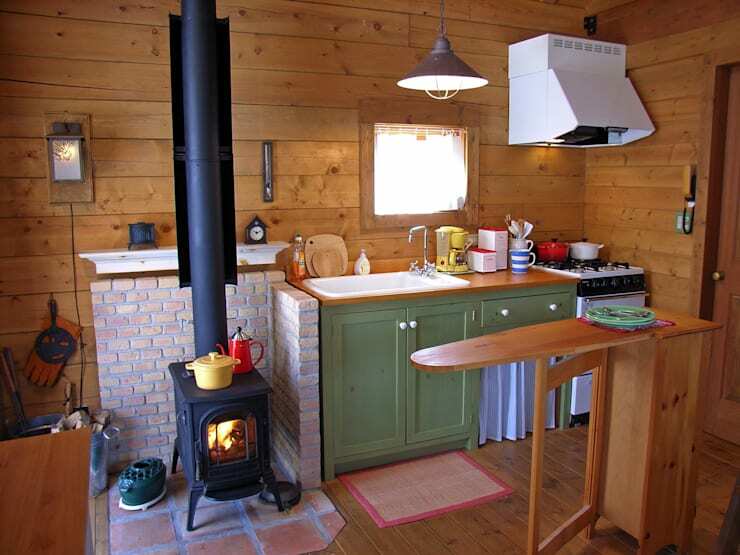 But it’s not just the oven and stovetop grouping that caught our attention; that snug little space where we can gather our firewood makes for a most surprising and welcome addition, since now nobody has to brace the cold outdoors to gather some more logs! Just see how beautiful this elegant cast-iron stove fits into this country kitchen (that dark surface contrasts most superbly with the surrounding warmth of the timber panels). This one is so special (and powerful), it even deserves its own little tile and brick structure (to protect the wood from the heat, granted, but we like to think of it as a shrine for this hot little model). 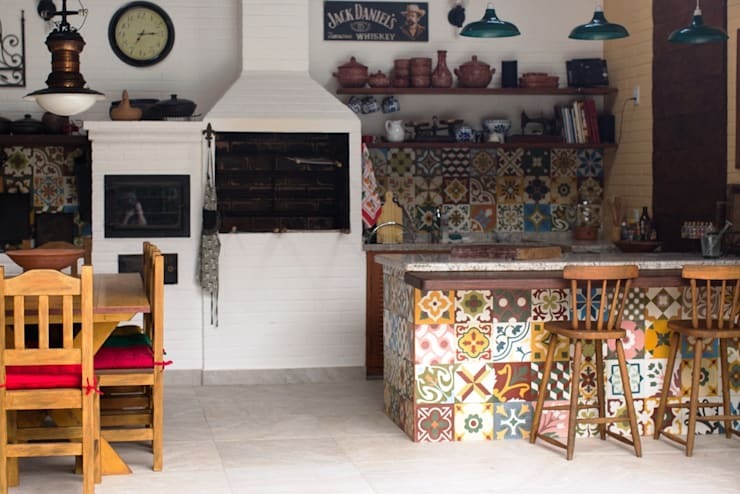 The kitchen, like any other room, can flaunt one’s personal taste and style most delightfully – and if that means bringing in a few colourful and patterned tiles, then so be it. 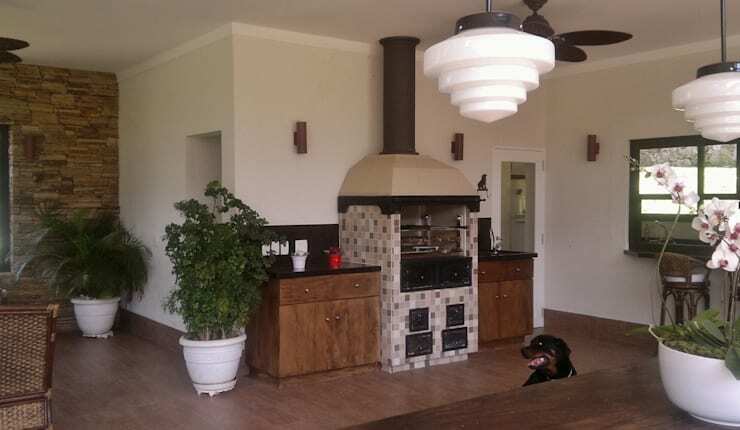 We think both the tiles and white brick do a tremendous job of making that black oven stand out even more. And with adequate room for roasting a piece of meat and heating up some healthy veggies, this kitchen seems to be the go-to spot for our winter socialising. Living in an open-plan layout? Then you know the difficulty of separating one space from the next. 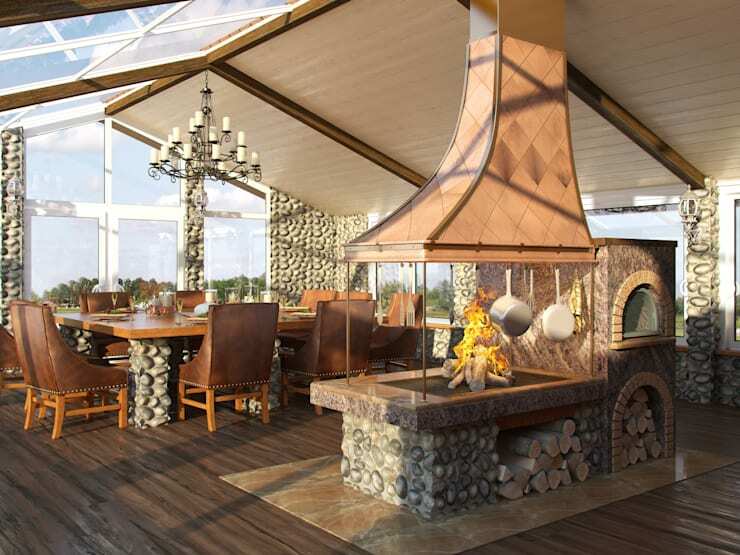 Fortunately, this oven-and-fireplace-combo comes attached to the peninsula, effectively announcing (in a stylish tone) where the culinary place commences. Now we can enjoy the rising heat from the stovetop while sipping on our coffees at that breakfast bar. 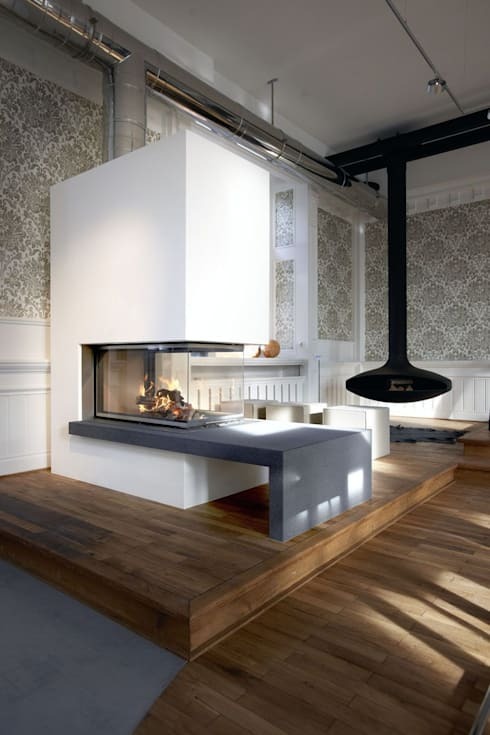 This fireplace has an “I’m here” attitude if we’ve ever seen one. Flaunting a very stunning body made from stone and glass, it can fit in most stylishly into either a rustic, country, or classic kitchen. And it seems to be party in the front and business in the back, because while we get lost in those red-hot embers and dancing flames, the side stove effectively takes care of heating up our winter meal. Crisp-white concrete, dark stone, and some rustic wood sporting a very rough surface – these are the stars of this scorching show, designed to heat and impress. As this fireplace is a unique intermingling of block-shaped volumes, it presents quite a few display areas, finally giving us that classic mantelpiece that we’ve always dreamed of having above our fireplace. This sleek and stylish model flaunts its gorgeous layout and calm, neutral tones quite effectively. And while we are used to watching fish through plate glass, this one can make for an equally stimulating vibe thanks to those captured flames winking at us. Just don’t overlook the seemingly floating model in the background; a slim and sleek structure dangling from the ceiling—small in size, yet hot in appearance. 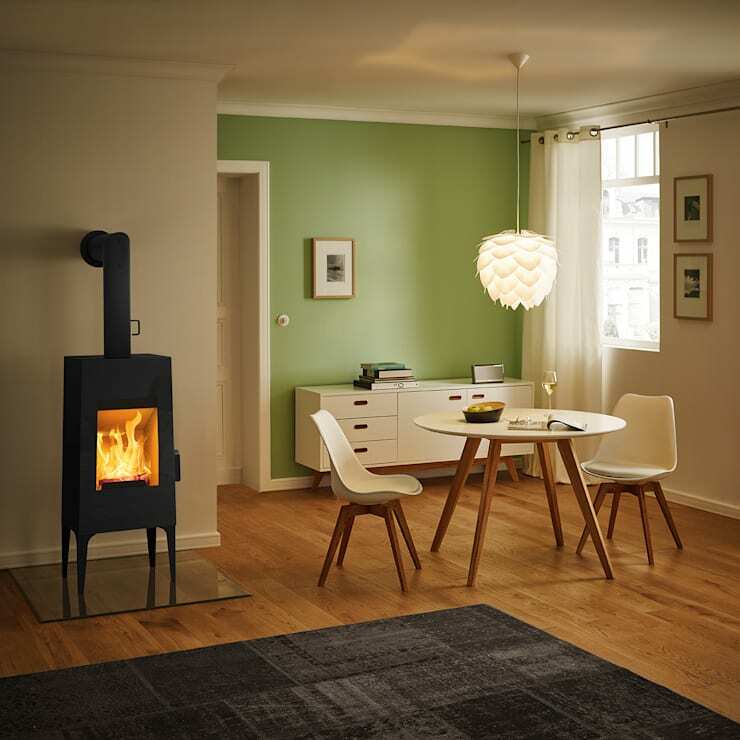 Mimicking the classic cast-iron stoves that the older generations used, this one opts for a more modern appearance, yet there’s no denying that beautiful shape and hot vibe flooding from it. And seeing as it’s in pure black, it means the surrounding palette and décor can be in any colour or style imaginable, and that black little beauty will fit in just perfectly. From fireplaces to sofas, see our homify-approved: Tips to create a really cosy living room.